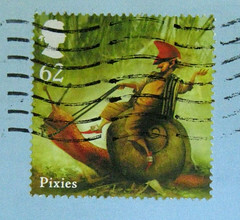 Here we have Postrcrossing US-1282619, one of the fantastic offerings in the "Postcards from Penguin: One Hundred Book Covers in One Box" by Chronicle Books. I wonder what common sense this dated book offered? 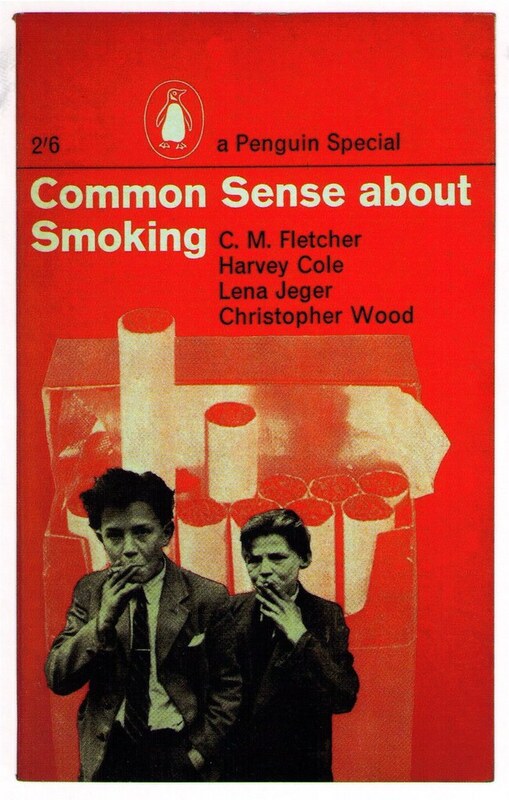 I love the cover image with the rebellious-looking boys smoking, but here is a little Missive Maven secret: I abhor cigarette smoke. I am zero tolerance about it. I have ended friendships because I can't stand to be around people who smoke. My nose wrinkles in disgust when I read a letter from a smoker, because the paper absorbs that awful cigarette smell. I have a friend who sometimes writes me letters from European pubs, in countries where they still allow smoking in those establishments... and I always know when he's done so. Nonetheless, I dig this postcard. There's still something kitschy about it. I am so totally with ya MM on smoking. I think it is one of the most vile things around. Imagine being stuck in a Flamenco show theatre in Spain where practically everyone around you is smoking. I can't believe we survived it (I don't think we stayed til the end, maybe even left at intermission), but obviously it still stuck in my mind from 2000! I, too, am firmly anti-smoking. At my school it seems that everyone smokes, but I think they are just really prominent because they insist on standing in front of every single doorway to do it. I like this postcard, though. It reminds me of the old advertisements for "non irritating" cigarettes. They're what doctors recommend! We just buried my 64 year old cousin, who was on oxygen the last 10 years of her life, struggling to breathe. Her death was not pretty. She was a smoker for most of her life. Well, I actually like the smell of second-hand smoke. I don't smoke and never have, but I do like passing a crowd of smokers and taking in a deep breath of it! Weird, right? But we all have our unique tastes! I am very allergic to cig smoke get a massive migraine if i so much as whiff a tiny bit of it. so yeah I hate it too. I do like this postcard but am firmly with you on the smoking. I have ended friendships because of it too and have not seen my dad in a long time since he started smoking again. Great news for Gina: you can come back to Spain, because now smoking is forbidden in pubs, cafés and so on. I have this postcard up for adoption if anyone wants to write a little something about smoking!